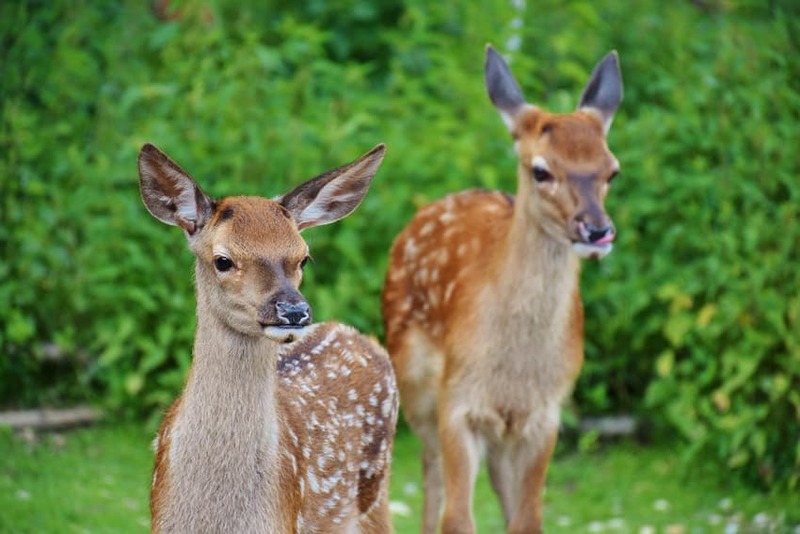 More Information: When Do Fawns Lose Their Spots? Ever been intrigued as to when do fawns lose their spots? Deer is quiet yet tricky in nature – real protective to their fawn, though they may have to leave their babies when searching for food. Fawns rely on their parents when it comes to their growth and development in a natural habitat. For example, in the early stages of a fawn’s life, their scent glands are still not well-developed, so they depend on their mother’s diet. Apart from that, another thing that goes away as a fawn develops is their spots. When they’re born, you can notice numerous white spots on their reddish brown coat. 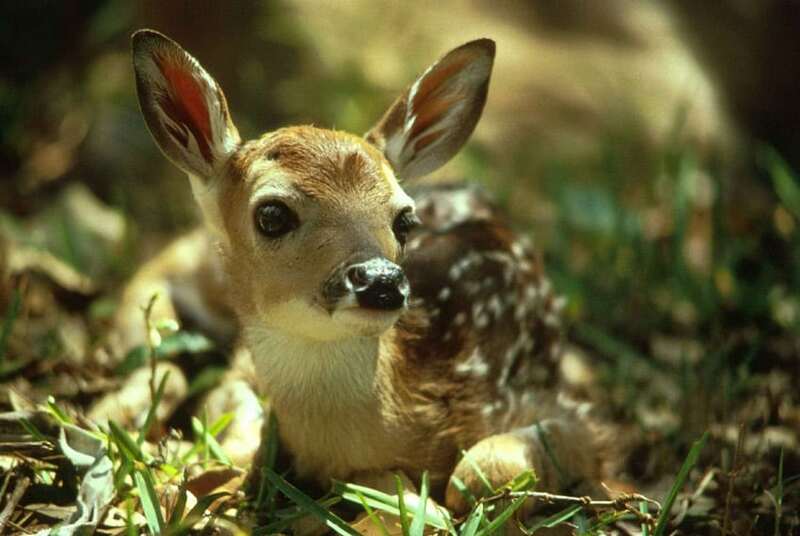 Usually, there are two rows of white spots on either side of the back of the neck to the tail of the fawn. And in each row, there are approximately 30 to 40 spots scattered all over the fawn’s body. However, there could be more spots due to variations in sizes and shapes. These spots are clear and noticeable in all young fawns. One thing to know about their white spots is that their fur is not entirely white at all. It has been found out the white spot only dominates the upper part of each fur strand. Noticeable white spots are seen on the outside, but the roots of each strand do not feature a white color. Since the white color is not present on the roots themselves, the white spots will eventually disappear. The question is when. Because of their incapability of defending their selves, fawns are good in hiding themselves. Their coat matches with their environment making them almost invisible. However, the spotted pattern is no good for camouflaging in some areas like grassy places. Amusingly, young fawns are a total lame in their first few days after birth. Throughout the day, approximately 90 to 95 percent of the time is spent laying in their ‘beds,’ although there are times they stand to stretch their bodies, only to go to other spots where they can sleep (again) soundly. During the first month and a half, they usually wander around and choose their bedding site within a small radius away from its previous site. The position of a fawn, when bedded, is either curled in a tight circle or laid down with its head up to easily alert them when there’s danger. When a fawn gains some strength, it now begins to follow its mother for short distances and begin to explore the present environment. Life in the forest is challenging due to a lot of predators aiming to hunt and feed on them. As mentioned above, a young deer have spots all over its body to help camouflage them from predators. Their spotted coat blends with their environment. The mother deer makes multiple bedding areas for their fawns even if the forest is vast. The mother deer spends most of its time away from the young fawn to avoid attracting predators and returns only when she will feed her baby in any of the bedding areas. Why do mother fawns spend most of its time away from the young fawn? It’s because a predator can trace an adult deer by their scent. On the other hand, a young fawn is odorless, making them less susceptible to being detected. Matter of fact, their body doesn’t have any scent at all – an effective way to protect themselves by not attracting predators to their location. Fawns that can survive past the first week will have a good chance of making it into adulthood. How long do baby deer keep their spots? Fawns maintain their white spots for 90 to 120 days after birth; quite useful for their survival. These spots eventually fade away from their body after that time frame. Once gone, a shiny brownish fur replaces it. A thicker coat replaces the previous coat of the fawn as the white spots slowly fade. The purpose of the thicker coat is for them to survive the winter. At about two weeks of existence, fawns begin to experiment with food, consequently being able to determine their kind of vegetation. Fawns learn to eat by observing their mother while eating. They learn which food is safe to eat and which ones are not. They also learn on their own as they browse the forest. After being two months old, their 4-chambered stomach fully develops, and they could now survive without their mother’s milk. However, mother deer will continue to take care of their fawns until they are four to five months old, or longer depending on the mother. As you may already know, cartoons show us that fawns are playful (like the Disney movie Bambi). You can notice the same attribute in the real world. Playing is part of a fawn’s physical and social development. Activities like this help them strengthen their muscles and enhances their reflexes which come in handy when escaping predators. During their playtime, they dash to their mother and invite her to play. This time, the mother will oblige and participate in the chasing game for a few hours. Other than physical development, playing also helps fawns build up their behaviors that will make them establish their place in the social order. These behaviors can be inherited from their mother, but mostly, they will learn it by observing their environment as a whole. Behaviors such as mock fighting, scent marking, and aggressive postures are part of being a fully-grown adult deer. For males, playing trains them to acquire the foundational skills for the development of their behavior for them to successfully compete for breeding rights later in life. Knowing the early stages of the life of a deer is an excellent foundation for those who like to hunt them. You now know when do fawns lose their spots. Now, you are aware that for them to survive, some changes are needed for them to adapt to their environment. And through its mother and a dose of social interactions with other animals, a once vulnerable creature could become a fully-grown adult deer.